1. What is involved in a typical inspection? We carefully and systematically evaluate the mechanical (electrical, plumbing, heating, cooling, and ventilation) systems within the home. We will have discussions with you about the quality and function of the doors and windows, roofing, drainage, siding, insulation, appliances and many other areas of importance. We will discuss safety items, environmental concerns, and discuss any plans you may have to renovate, or alter the home. We will answer any questions you may have about anything related to the home. 2. Do I get a written report? Yes, you will receive your inspection report on site, at the end of the inspection. The Matrix Deluxe report is a format where notes and comments from your inspection are keyed to additional information about repairs, costs, and maintenance. You will also receive a termite inspection certification, a walk through check list to be used the morning of your closing, and up to date home information, reference material, and useful home maintenance and cost information. The Matrix Deluxe report will give you important information in relation to the conditions found at the home that day. The report is a combination checklist, narrative and reference. Comments are specific for the home needs, as are any recommendations made by the inspector. The report is in a binder with many extras that we hope will become your "home" book, a great reference and easy way to find your important papers. 3. Do I really need to be there? 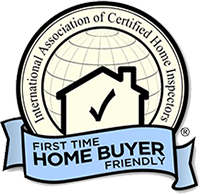 We truly encourage you to attend the entire home inspection process. We also recommend you do it with as few distractions as possible. Allow yourself time to ask the inspector questions and make note of your concerns. We recommend you follow the inspector around the entire survey of the home. You will learn the conditions, maintenance requirements, and safety information for your new home. We teach you the important needs of the home, and you will appreciate the difference between our level of care and other home inspection services. Try not to bring your entire extended family for home tours at the inspection, and if you make appointments for additional contractors, decorators, etc... have them arrive about 2 hours from the inspection appointment. Spend time with your inspector. This is the time to focus on the needs of the home and get a good handle on projected costs and equipment maintenance. 4. How long does the inspection take? For a proper home inspection, with all the questions you may need answered, you should set aside approximately two hours for a home, and one to two hours for a condo. As with any detective work, it will go quickly if conditions are obvious, and slower if they are more complicated. Antique homes and homes with more equipment take longer. If you cannot attend the entire inspection we recommend you discuss all areas of concern with the inspector when possible. 5. Is there a warranty or guarantee offered with the inspection? Unfortunately we cannot act as an insurance company, nor offer to cover any damages that may occur over time on your new home. What you are buying from us is our opinion about the home. This opinion is based on our expert knowledge and experience, but is still a time sensitive and limited visual inspection of the home. What is hidden, non-accessible, and apt to happen over time is not within the scope of the inspection. We do recommend that you carefully re-inspect the home the morning of the closing ...before you sign on the dotted line. 6. Do you give prices for repairs of items that are broken or need upgrading? Ballpark prices are verbally discussed, though you will be encouraged to get actual pricing from local contractors if an item is found to be deficient. Actual pricing for products and repairs are vital for your negotiations and budgeting. 7. What about "Free Telephone Consultation for as long as I own my home," what's that about? If you get into a situation where you are advised to do something, or your home is ready for a piece of equipment or repair, feel free to call and ask our opinion, or advice. We do not charge for telephone consultation. We only charge for visitations. Should you require a visitation, consulting costs will be discussed with you ahead of time. We have arranged a special unlisted client question line for you to get the prompt and friendly service you need. Just call 905-715-2574 when you need a question answered. 8. How do we pay for our inspection? Payment can be made by cash or cheque. Home 'N' Spec also accepts debit and credit cards. You will receive a receipt and an explanation of costs. We ask that you pay the inspector at the conclusion of the inspection. You will only need one check as we will pay the up front testing and subcontractors in order to supervise, provide quality control, and collect documentation from each for your file. 9. Are there any other services we should be aware of? Carbon Monoxide testing of the heating system can often diagnose leaks and maintenance needs that can lead to health and safety concerns. We can determine carbon monoxide leaks and make necessary recommendations. The price for this service is $30.00. 10. Do you have insurance? Our philosophy has always been to provide the highest level of service for our clients. We inspect carefully, systematically, and maintain close scrutiny on all testing and documentation. Our reputation is critical to our longevity in the industry, and we work very hard to protect our clients. We offer independent objective inspections so that you will know the conditions and costs associated with the home you are considering. We work only for you, and have no interest in whether you buy or not...just that you understand what you are buying. Should you have any further questions or comments please call us at 905-715-2574. 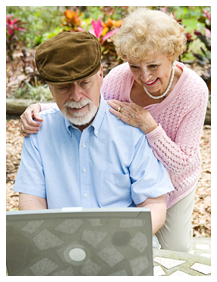 Telephone consultation is free and there is no obligation.